The purpose of this paper is to draw attention to existential fixed-point logic. Among other things, we show that: (1) If a structure A satisfies an existential fixed-point formula φ, then A has a finite subset F such that every structure B with A|F = B|F satisfies φ. 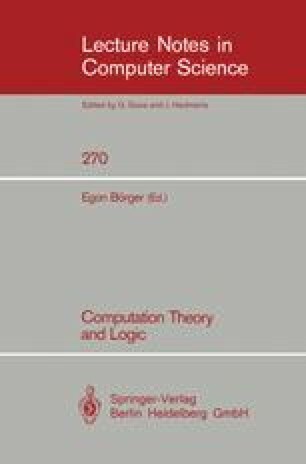 (2) Using existential fixed-point logic instead of first-order logic removes the expressivity hypothesis in Cook's completeness theorem for Hoare logic. (3) In the presence of a successor relation, existential fixed-point logic captures polynomial time. 1.Mathematics Department and Electrical Engineering and Computer Science DepartmentUniversity of MichiganAnn ArborU.S.A.